Following a recent nearfield monitor review of mine in SOS — a product, it’s true to say, that I didn’t find entirely convincing — I was criticised by a contributor on a pro audio forum who felt that my opinion of the monitor was probably skewed by my being “too lazy to run them in properly”. Now, as a writer of reviews it would be somewhat rich of me to get upset by somebody expressing an opinion, but I can’t deny I bristled a little. 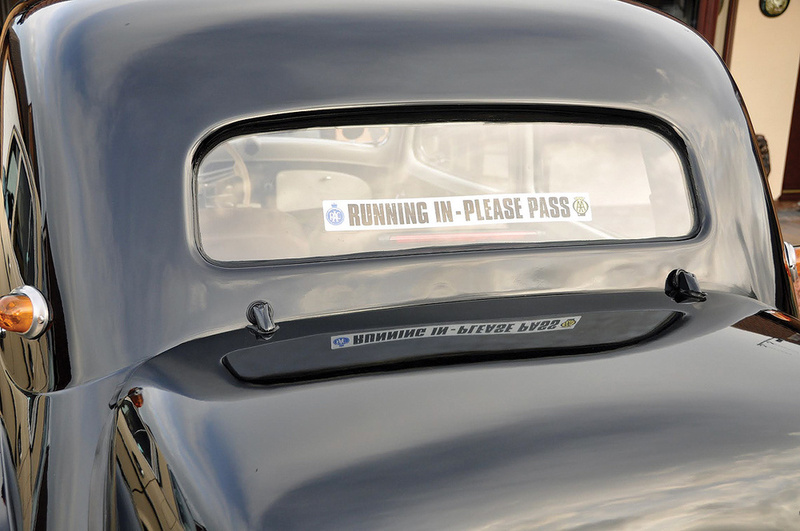 But more than bristling over the accusation of indolence, it was the forum contributor’s fall-back on the ‘running in’ idea that once again had me reaching for the blue pills (the relaxing ones). There is, I have little doubt, more box-of-frogs nonsense spoken on the running-in of speakers than perhaps on any other audio subject. I don’t disagree that there are electro-mechanical mechanisms inherent to speakers that have the potential to influence performance in use, and I’ll discuss them a little further down. 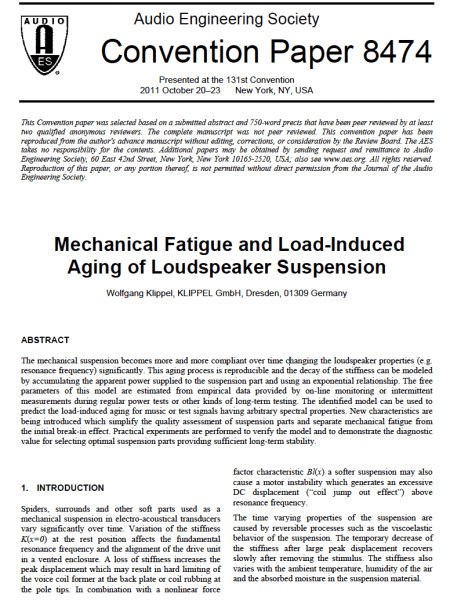 The phenomenon I question, however — and on which (apart from a 2011 AES paper by Wolfgang Klippel — see Note 1) there is precious little solid analysis among all the lazy opinion, marketing convenience and unconscious bias — is that there are unexplained phenomena at play that can, over time, irreversibly and significantly improve the sound of a pair of speakers. One review I read recently described a speaker running in as, “like the difference between god-awful and astonishingly good”. Unfortunately, the reviewer couldn’t — or rather didn’t even try to — explain what had quantifiably changed, and the set of technical measurements published alongside the review completely ignored perhaps the most interesting issue it raised. I appreciate that my scepticism with regard to running in is unfashionable. Do a quick search on ‘speakers running in’ and you’ll find countless reports from audiophiles and professional audio engineers the world over describing their experiences of the phenomenon. Some will quote manufacturer advice, lifted from user manuals and web sites, that typically suggest speakers will “reach their intended level of performance after x hours of use”. The thing that a search will not provide, however, is any water-tight explanation of what, mechanically or electrically, happens inside a speaker to explain the phenomenon. Actually, that’s not entirely true. Many commentaries on running in will suggest that the suspension and surround components on bass and mid-range drivers will soften and that this alone is responsible for the fundamental improvements that running in brings. Well, the first part of that contains some truth. Surrounds and suspension components can irreversibly soften a little as they are used, and very small changes in the response of the speaker may then result. Having said that, however, even as much as a 25 percent increase in the suspension compliance of a bass driver, for example, will typically result in a surprisingly small change in the system’s low-frequency response. This is so because the dominating compliance in the vast majority of box-loaded speakers is that of the enclosed air (see Note 2). 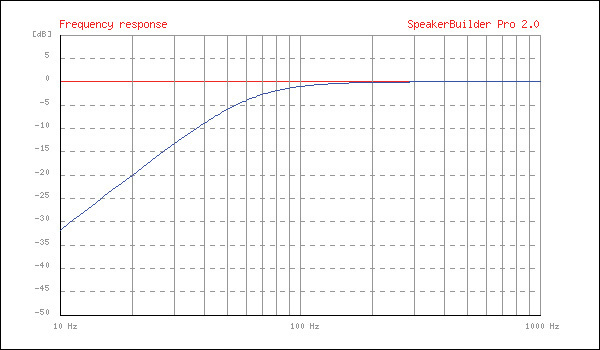 Low-frequency amplitude response with driver compliance = 1.0I’ve illustrated compliance change in the simulation diagrams shown (these were modelled using Speaker Builder Pro: http://sbp.softica.dk/2.0/en/?id=). 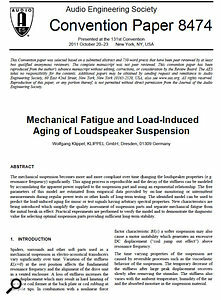 A 25 percent increase in driver suspension compliance in a small, well-damped, closed-box system, results in a response change of approximately 1dB, localised around 60Hz. It’s only apparent on the diagrams if you look carefully, and you’d be very hard-pressed to consistently hear it (for context, 1dB is comparable with typical stereo pair match sample variations). 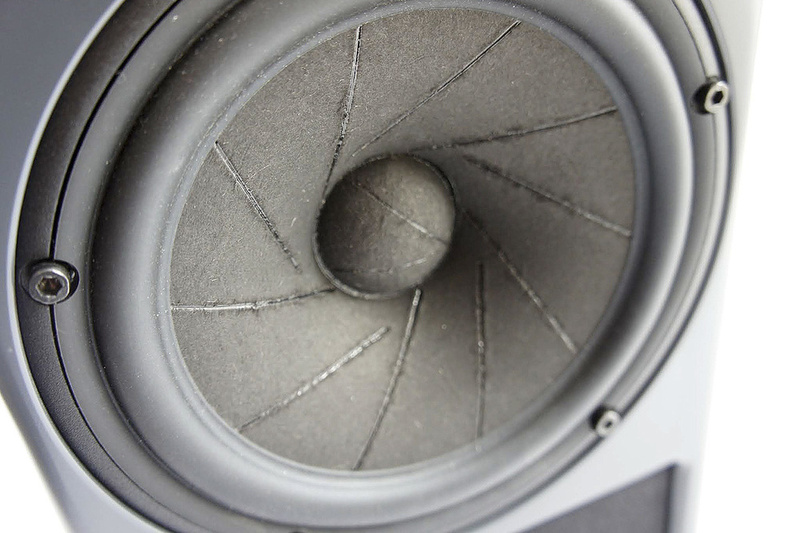 Low-frequency amplitude response with driver compliance = 1.25Such changes are also very likely to be small compared with the reversible changes that occur as a speaker gets warm with use or in response to ambient temperature variations. For example, driver voice coils are typically wound from copper wire, and thanks to copper’s relatively large temperature coefficient, the resistance of a typical voice coil will increase significantly as it warms (see Note 3). It’s not unheard of for a voice coil to reach 200°C, at which temperature its resistance will have increased by a factor of around 1.7 and, all other things being equal, the driver’s baseline sensitivity will have decreased by around 4.5dB. In comparison with any change that might be caused by suspension softening, or some mysterious and yet-to-be-measured running-in phenomenon, that’s a huge, and undoubtedly audible difference. 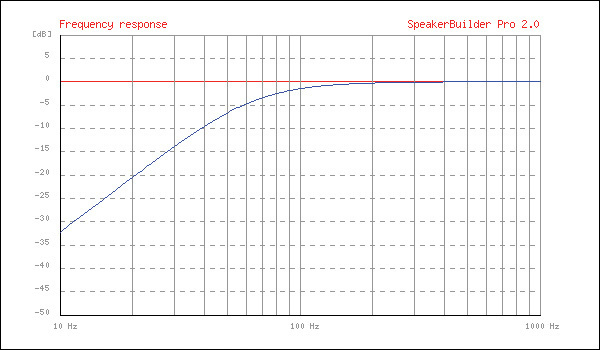 And not only will the driver sensitivity change: if the speaker incorporates passive filter or equalisation elements, thanks to being connected to a resistance that’s nearly doubled, the intended electrical behaviour of those passive elements will be but a vague memory — as will the system’s intended frequency response. The aspect of the entire running-in phenomenon that has me reaching for the blue pills, however, is that it seems to me there are at least two steaming great elephants contentedly doing their business in the listening room. The first elephant, named Yanny, keeps muttering darkly that speakers never seem to sound worse after running in. We never, for example, read reviewers complaining that a speaker sounded “astonishingly good” at first but became “god-awful” after a couple of weeks. In the absence of any proven technical explanation for the running-in phenomenon beyond minor suspension softening, it’s hard to see how it can be factored into engineering or design. 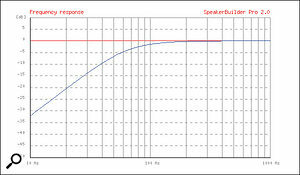 That being the case, shouldn’t we expect a good proportion of speakers to sound worse after running in? The idea of ‘running in’ is not confined to speakers — back in the day, it was common to see new cars on the road with this sign in the window.Photo: David FaulknerAnd Laurel, the second elephant? Well she has more interest in complexity and psychoacoustics than in electroacoustics. If the recent ‘Yanny’ or ‘Laurel’ audio meme teaches us one thing, it is that our perception of sound is highly plastic, wide open to manipulation, and incredibly complex (maybe it also should remind us that the subjective opinion of every audio reviewer, including me, should be read in the knowledge that we are ‘only’ human). But it also, I think, teaches us that in any system with an ‘input’, such as the performance of a speaker, and an ‘output’, such as a subjective opinion of that performance, the source of any unexplained change in the output is most likely to reside at the site of greatest complexity. And (rhetorical question alert!) what is more complex: a passive speaker cobbled together from wood, paper, plastic, magnets, metal and glue; or the extraordinary, impenetrable lump of conscious jelly between our ears? Maybe it’s not the speakers doing the running in, it’s the ears and brains listening to them. 1. The conclusion of the Klippel paper (which you can find behind a paywall at http://www.aes.org/e-lib/browse.cfm?elib=16000) was that, yes, driver suspensions can ‘break in’ irreversibly and that a mathematical model can be constructed to predict the effect. The only result of the softening described was that the driver’s fundamental resonant frequency would reduce. 2. When Acoustic Research founder Edgar Villchur first put a softly sprung bass driver in a small closed box and christened the arrangement ‘Acoustic Suspension’ he did so for a good reason: the ‘suspension’ was being done mostly by the air in the box and not by the compliance of the driver. 3. Around 98 percent of the electrical power input to a direct radiating moving-coil driver will be dissipated as heat.